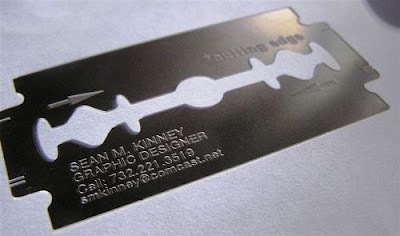 17 Outstanding and Creative Business Card Designs. 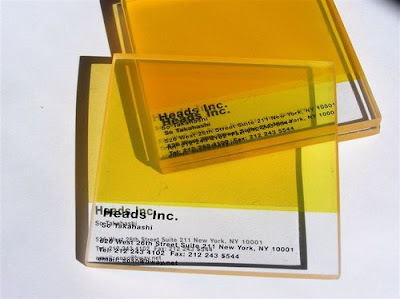 Collection of 'Outstanding and Creative Business Card Designs' from all over the world. A perfect card for a debt recovery agent. 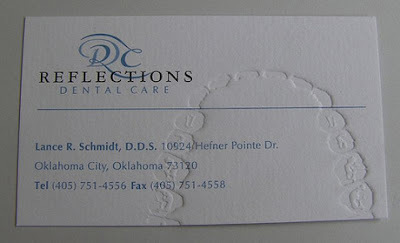 Yet another creative business card for a divorce lawyer & the perforated card demonstrates what a divorce lawyers can do. A perfect ad for a personal trainer. Expandable rubber to test your strength! 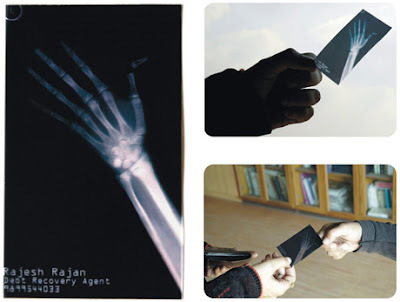 A card which speaks that it belongs to a security consultancy. 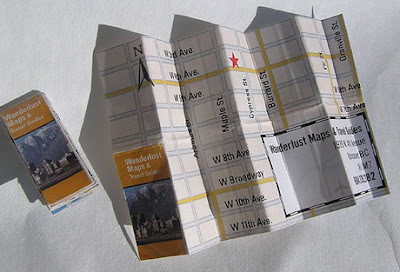 Calling card with web address. 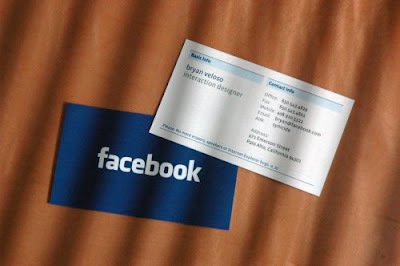 Interesting card for an interaction designer. 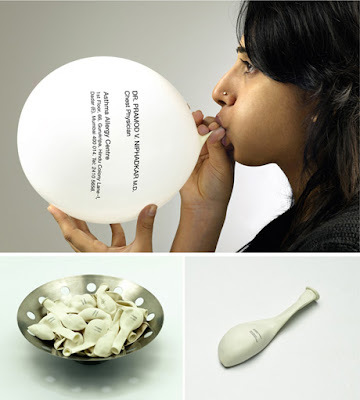 Here we have a balloon visiting card (chest physician who runs this allergy center), which becomes legible when inflated & shows how health your lungs are. This looks like it took its inspiration(?) 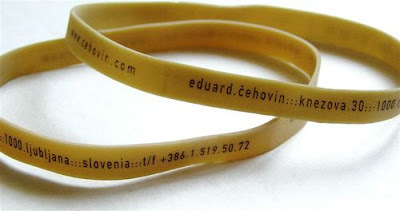 from the famous logo. Now this comes from the dental care. Whose teeth impressions are these? Of the dentist? 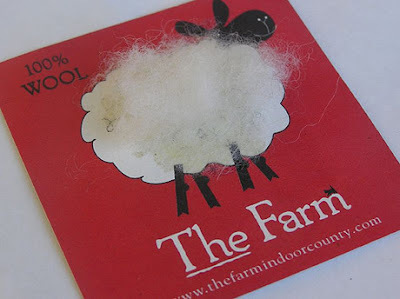 Perfect use of the product: wool on the card, works as a sample too? Another one for the designer. 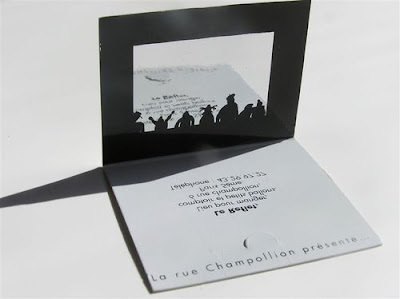 A business card made for a restaurant in Paris & the printed text is readable only if one reads the text that is reflected on the mirror. 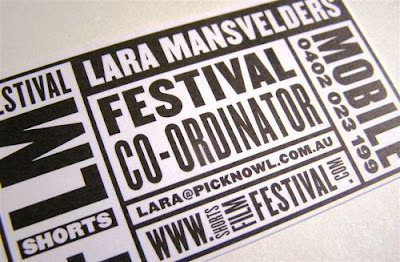 A really good business card for the coordinator of Shorts Film Festival. 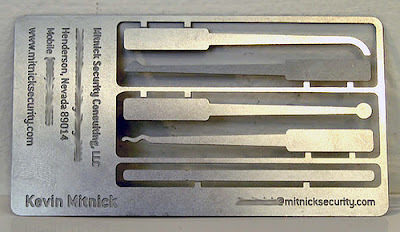 Metal card "stick of gum" of a design firm. Source: 1, 2, 3, 4, 5 & 6. 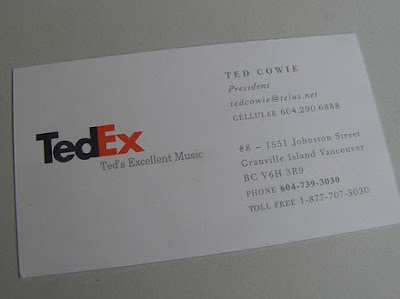 Don't miss to check out "Outstanding and Creative Business Card Designs - Part: 1| 2| 3| 4| 3| 5".